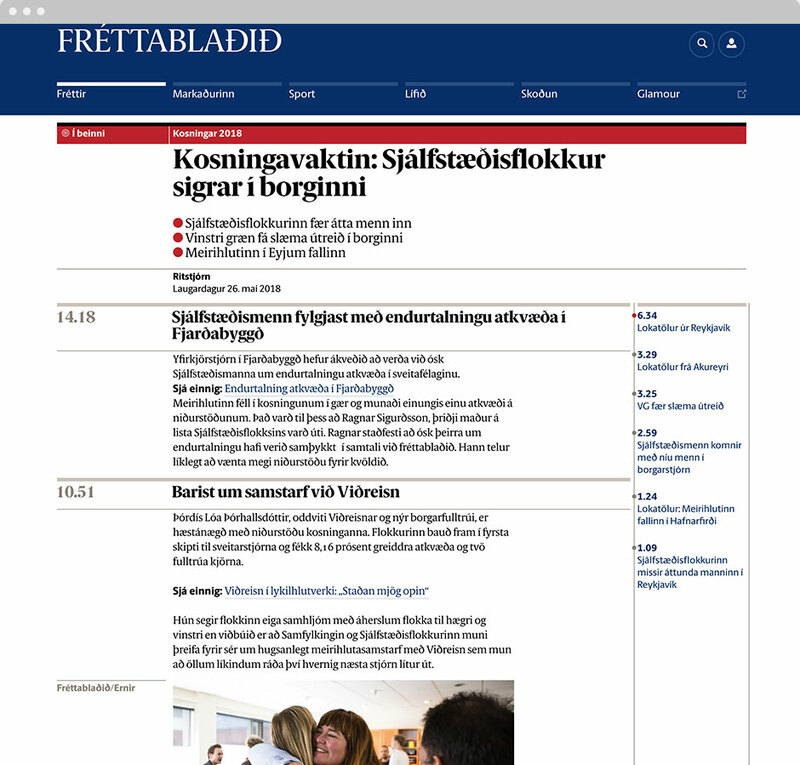 Established in 2001, Fréttablaðið is Iceland's most-read newspaper. 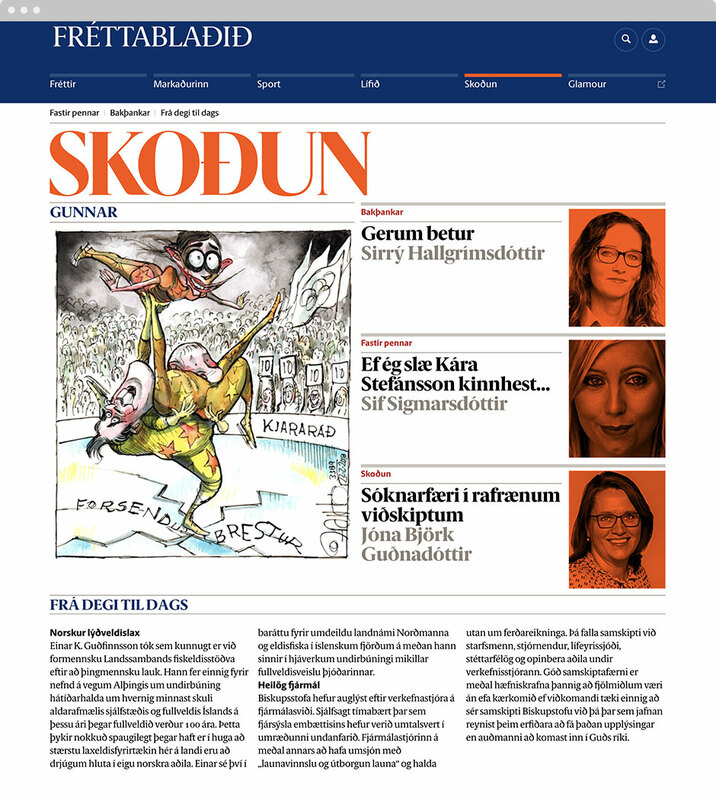 As lead front-end developer, I formed part of a 3-person team commissioned to bring the paper online. I saw the project through from design conception to launch, and on-going feature development. 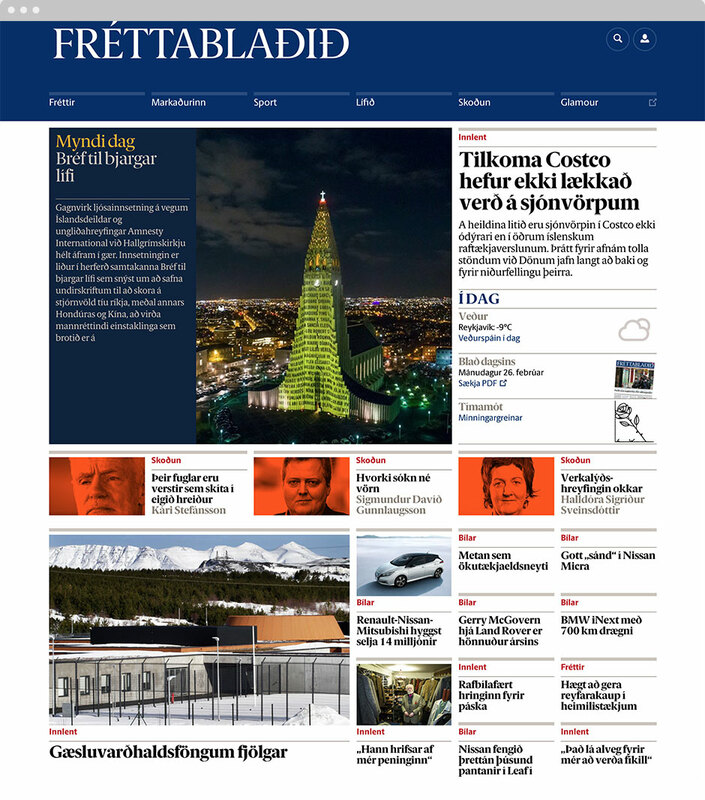 We developed and equipped the editorial team with a huge variety of responsive templates tailored to the newspaper's content including articles, galleries, features and live stories. 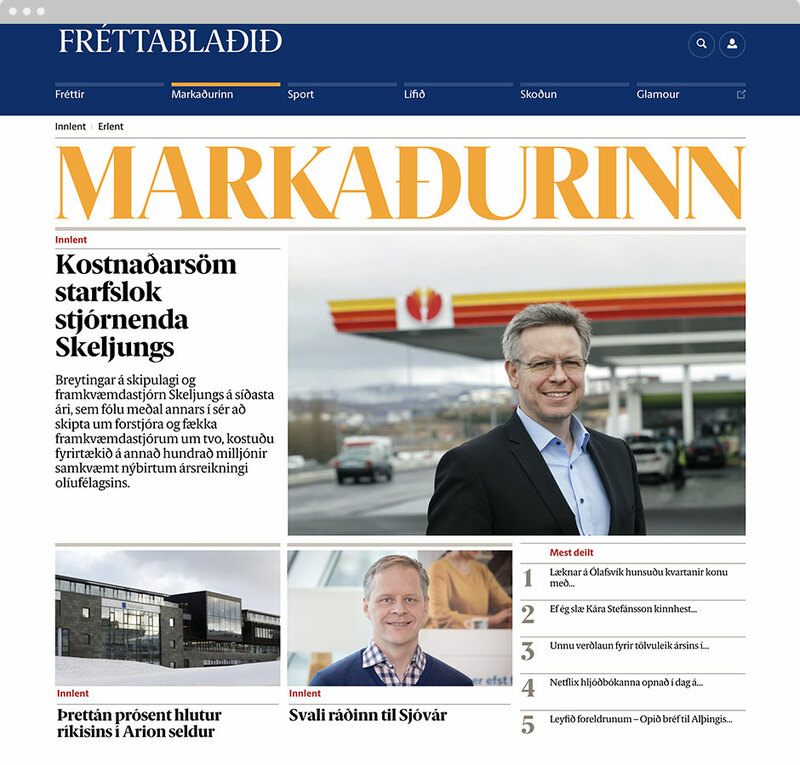 The design was built on a modular grid with particular care and attention given to typography and imagery to complement the print edition.